I love finding out about companies that support & encourage girl skateboarders so I was thrilled when my friend Pauline Branom told me about her board sponsor Feisty Crew. Plus I was so excited to find out Pauline has a Pro Model board. Being the curious type – I had to find out more so I contacted Feisty Crew. SF: Why & when did you start a brand for girls? that is about the purity of the sport and girl riders on the streets and slopes. We wanted to create a platform and brand for girls where they feel connected with, proud of and have a voice in. The last years we also saw many girls were kicked out from brand teams or will never have a chance with brands because men always have the advantage at Unisex brands so we wanted to create new room for them. In August 2013 Feisty was founded. We gave it the name Feisty as it stands for tough girls with strong personalities. SF: In addition to on-line, where are your boards available? Beside our webshop sadly we are not in any shops yet. We just changed our structure of working with involving our crew girls into the sales part of our decks. 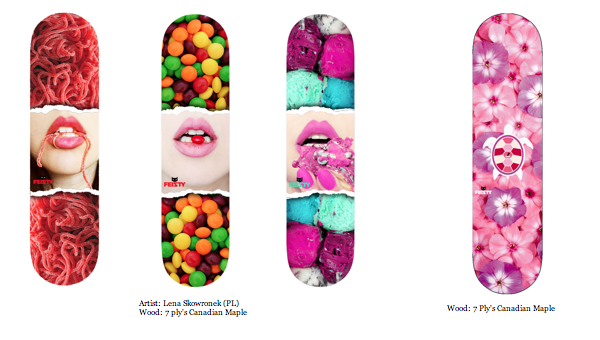 We hope shops will believe in Feisty soon so girls can buy the decks in their local shop. I’m happy to have insider information which is Feisty Crew is a proud sponsor of EXPOSURE Skate 2015 – so on November 7th there will be some Feisty Boards at the Encinitas, CA event. Thanks Tiffany R for making that happen. SF: Who’s on the Feisty Crew? We have girls from around the world in our crew. Feisty works with girls who design the decks and to ride the decks. Every girl in the world can show us their artwork and we decide if we will use it yes or no. Our crew is growing and will grow with the years. 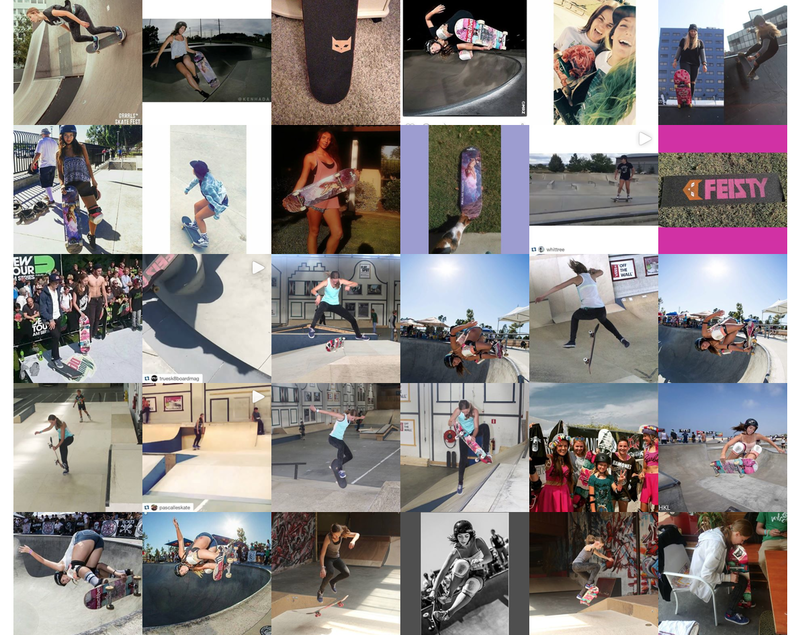 We are not looking for pro girls only – like every other brand only works with pro riders. We are looking for girls who have heart and passion for their sports. If we see this in a girl and the girl has a great story for girls in x treme sports in general we are happy to help the girl. The only thing we ask our girls is to make content so we can use it and share their adventures with the world. everybody is equal at Feisty. For snowboarding and skateboarding we have a rider stop and we are looking for some cool freestyle longboard girls. I love what Feisty Crew is doing for girls on all boards. Definitely check them out & if you’re interested tell them why you’re Feisty it’s as easy as tagging them on IG.